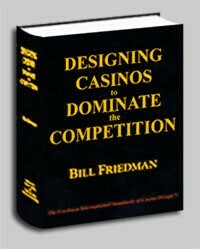 The ultimate interior design book; 630 pages, 164 full-page color illustrations, 9" x 11" hardcover, with 39 chapters containing strategic concepts proven to dramatically increase player counts and win (ISBN 0-942828-44-5). 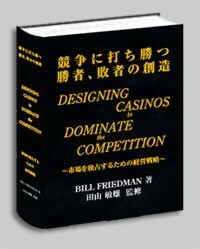 Read the Dust Jacket Flaps and the Table of Contents for further details. William R. Eadington, Ph. D.